There are two domestic airlines here in Costa Rica. Nature Air and Sansa. 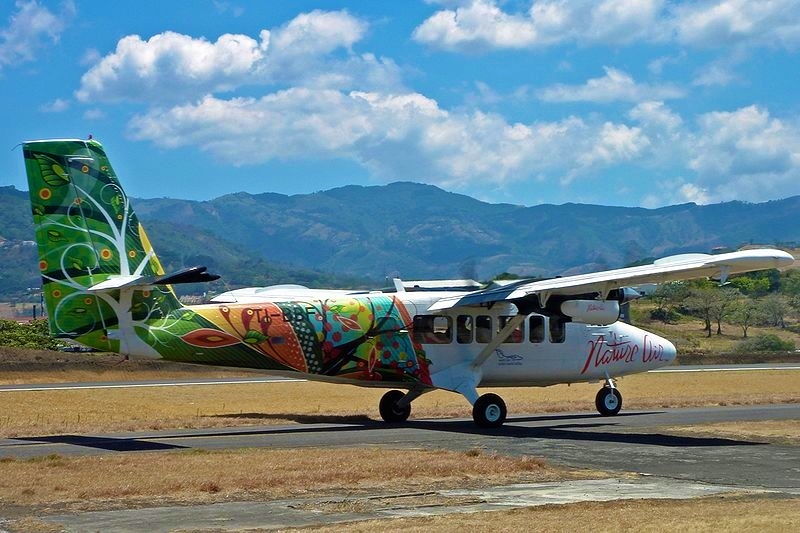 During the high season, which is December 1st until April 30th there are generally four flights per day between San Jose and Puerto Jimenez. Below is the Nature Air flight schedule. This should help provide you with an indication of which flight will best suit your travel arrangements. 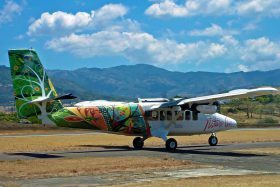 If you arrive into San Jose early enough in the day we can get you on the domestic flight and all the way to Puerto Jimenez that very same day. If your international flight arrives late we will set you up with a room at the Holiday Inn Express and get you on a flight the following day. If you have to overnight in San Jose you can still fly down to PJ on the 6am flight and we can even get you into the boat and on the water that morning. We do this by having Cara meet you at the local airport in Puerto Jimenez. She will take your luggage out to the hotel after dropping your crew off at the pier where the boat will be awaiting you. 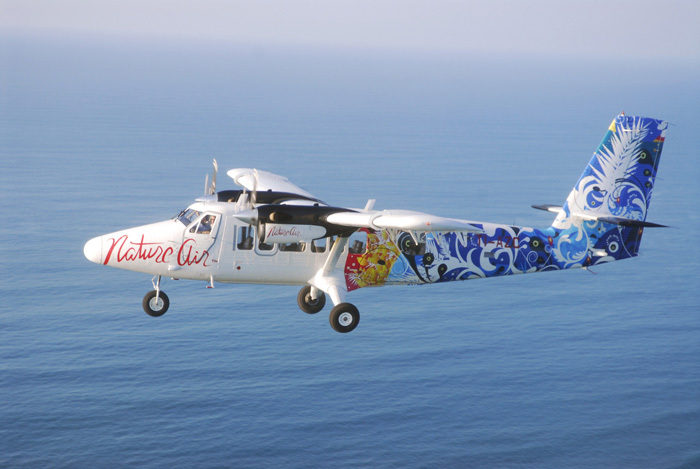 We can also get you on a late afternoon flight after a day of fishing if you are short on time for your trip. You would then fish the day, your bags would be ready to go and the boat would come in a little bit early to get you to the airport in time for check in. It is an option available to you if time is an issue due to tight work schedules etc. You must check into the domestic airline one hour prior to departure. On your return home please remember that you must be at the international airport two hours prior to departure. Nature air permits 40 lbs. of checked baggage per person. Each passenger is also allowed one piece of carry-on luggage up to 10 pounds. If your luggage is heavier than 40 pounds here are the excess weight charges. All passengers have the right to check one bag with a maximum size not exceeding 50 linear inches / 127 cm. (length + width + height). any luggage exceeding weight allowance (determined by fare type) and/or size will be subject to space availability and charged according to the excess luggage fees. Over-sized luggage or bags exceeding 60 pounds will be charged as cargo and subject to space availability. All passengers may bring one piece of carry-on luggage as long as it does not exceed the 10-pound weight limit and a maximum size not exceeding 33 linear inches / 84 cm. (length + height + width). Any carry-on luggage exceeding the maximum weight and/or size will be considered and charged as excess luggage. For passengers exceeding their baggage allowance, please allow extra time at the airport to pay the excess. Check-in facilities will close 40 minutes prior to the scheduled departure time of the flight. Passengers who fail to complete check-in procedures by this time will not be able to travel. Remember, all luggage is subject to space availability and cannot be guaranteed transfer on the same flight as the ticketed passenger. If regular luggage is denied boarding, Nature Air assumes the responsibility of sending it to the passenger’s final destination (up to 5 miles away of final airport destination) during the next 24 hours. NOTE – By the end of October 2016 most airlines appear to be collecting the tax on newly issued tickets. In Costa Rica a departure or exit tax of $29 per person is generally paid at a counter in the airport at check-in. Now it may be included in the ticket price depending on when you purchased tickets and which airline. It is up to individual travellers to determine if they paid in advance. If the exit tax is included on your ticket go directly to the check-in not the departure tax counter.